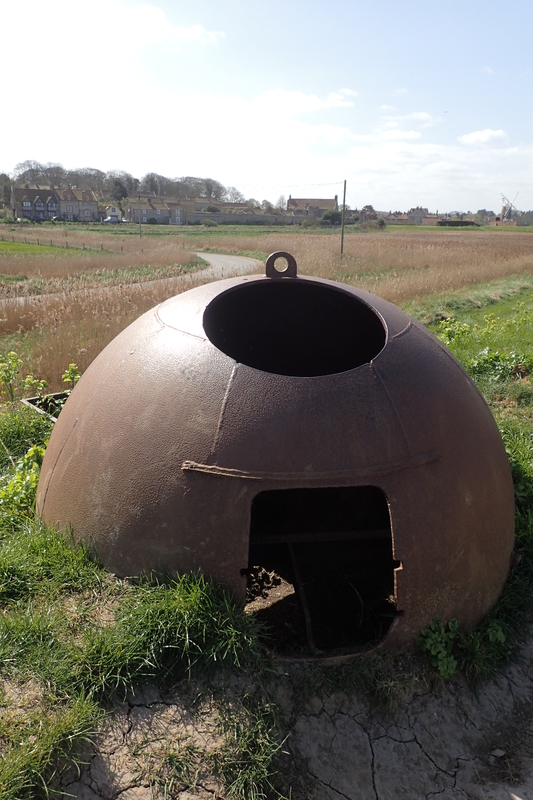 Starting on 1st April 2017, I walked the Peddars Way and Norfolk Coast Path. 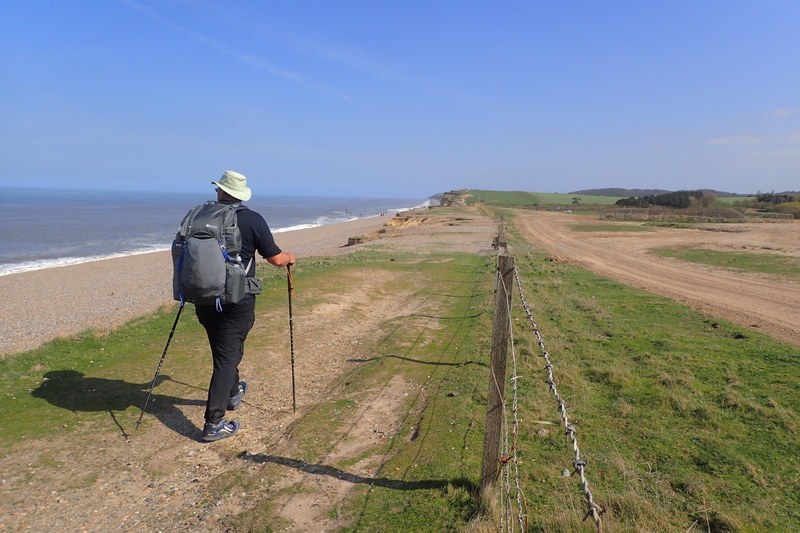 On day four, I finished off the Peddars Way and began the Norfolk Coast Path, the flavour of the walk changed immediately and dramatically. 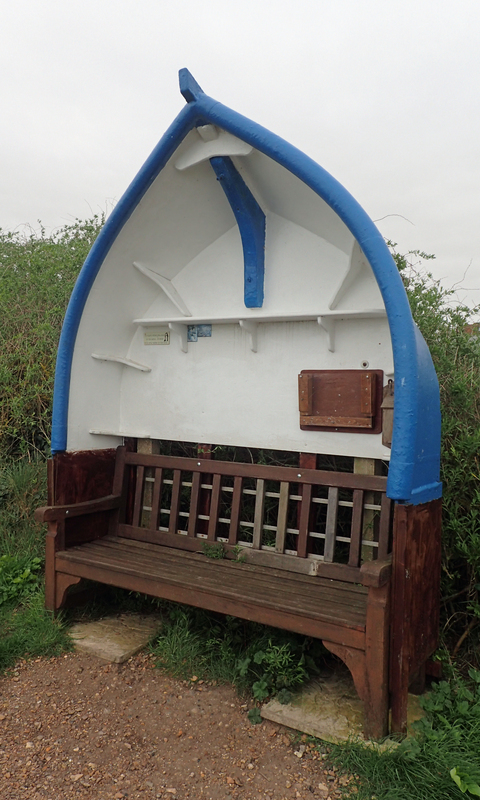 On my walk northward from the Suffolk/Norfolk border, I had encountered very few people on the trail, as soon as I hit the coast, this changed. Not that anyone was doing, or appeared to be doing, the national trail. It was just that I was now in the midst of holidaymakers, fishermen (and fisherwomen, or is it just fisherpeople?) and the residents and workers in the small and larger towns that were lined up, like pearls on a necklace, along the coast. 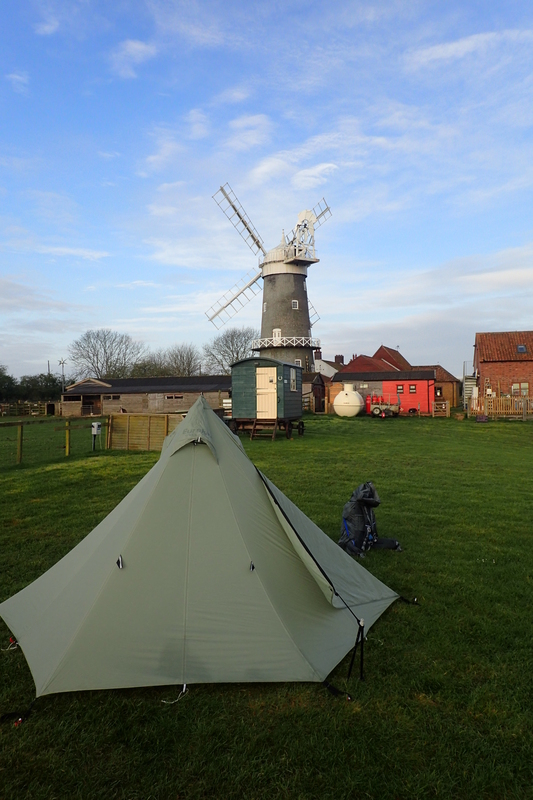 My next few days comprised 20 miles from my last campsite on the Peddars Way, the lovely Bircham Windmill, to Deepdale, then 14,5 miles to Highsand Creek, followed by 16 miles to my only stay at a hostel on the walk, the YHA hostel at Sherringham, leaving me a simple six miles to finish my trail at Cromer pier and then to the railway station. In all, I did 98.5 miles. This was certainly taken over the ton by my little wanderings and evening sorties from my tent. But, with map miles, it sits at 98.5 miles. 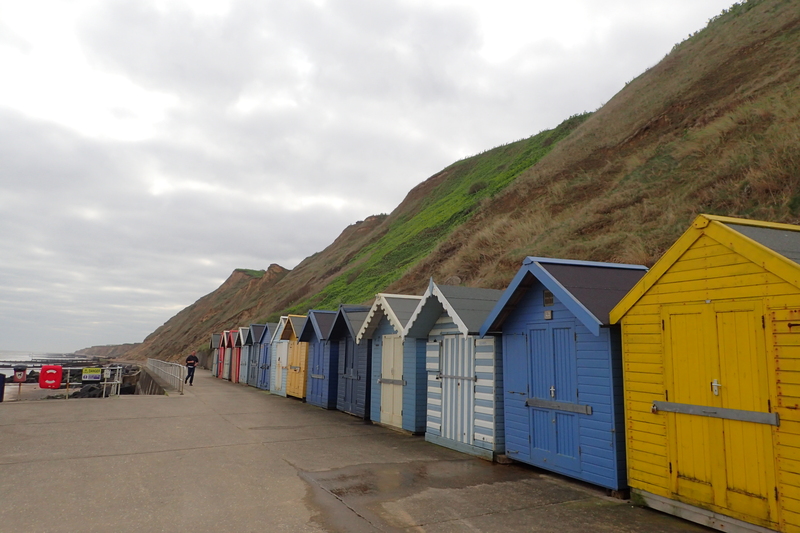 I used to visit this part of the coast, almost as a pilgrimage, in the 1980s/90s when I was a keen birdwatcher. It is amongst the very finest of places to view birds- residents, migrants, raptors across the reedbeds, fantastic. But for me, it was the visits each late autumn/early winter to see the thousands of geese, wintering away from the harsher conditions of Siberia that will live with me forever. 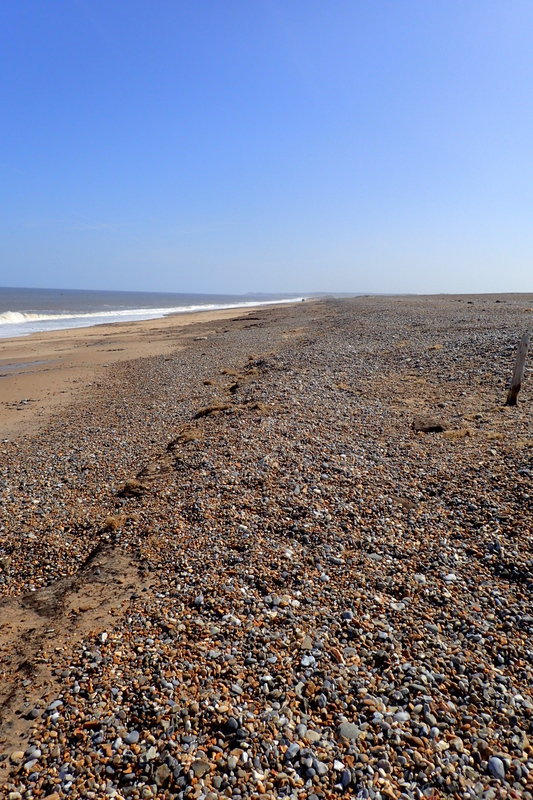 Even hoofing along with a pack on my back and stopping infrequently, the Norfolk Coast Path was still a nature-watching marvel. The early fine weather had encouraged many car borne visitors but few could be bothered to walk more than a mile or two from any carpark, as a result I had much of the coastal walking to myself for hours on end. Much of this part of the coast continues to change from the industry of old- fishing and smoking of fish, to the new, the tourist. 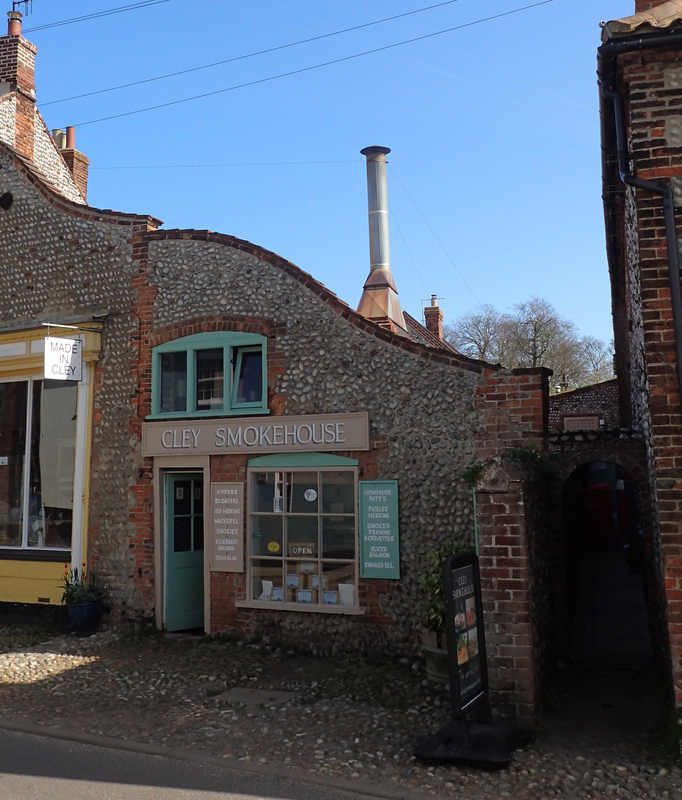 However the flint built buildings are, mostly, well maintained, the natives friendly and opportunity to buy provisions vastly improved on anything I had experienced over the previous few days. While I carried food for most meals over the Peddars Way part of this walk, I had known beforehand that opportunities to eat locally were going to be much improved on the second half of my walk. 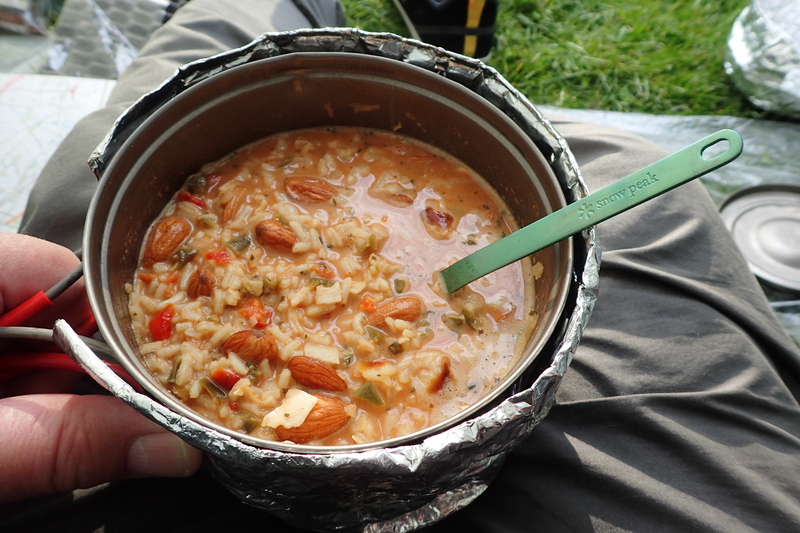 Whereas I carried eight meals for the inland section, I only had two for the coastal section. All other were purchased locally. 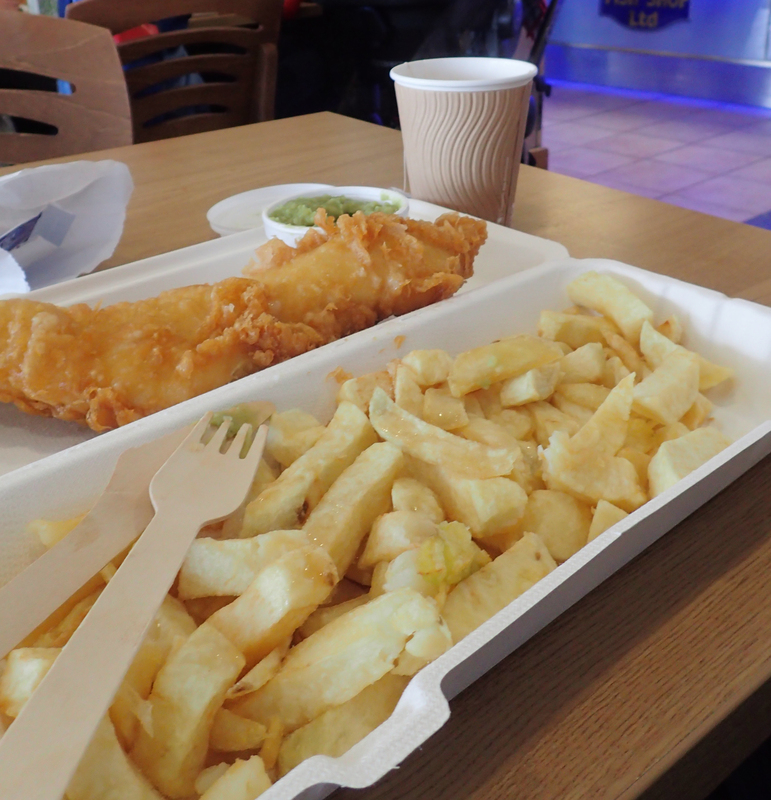 Though perhaps surprisingly, I only ate fish and chips the one time, When I reached busy Wells-next-the-Sea. My two campsites on the coast were both perfectly adequate. Deepdale was a small field and I camped next to car campers, but I had no problem with that. 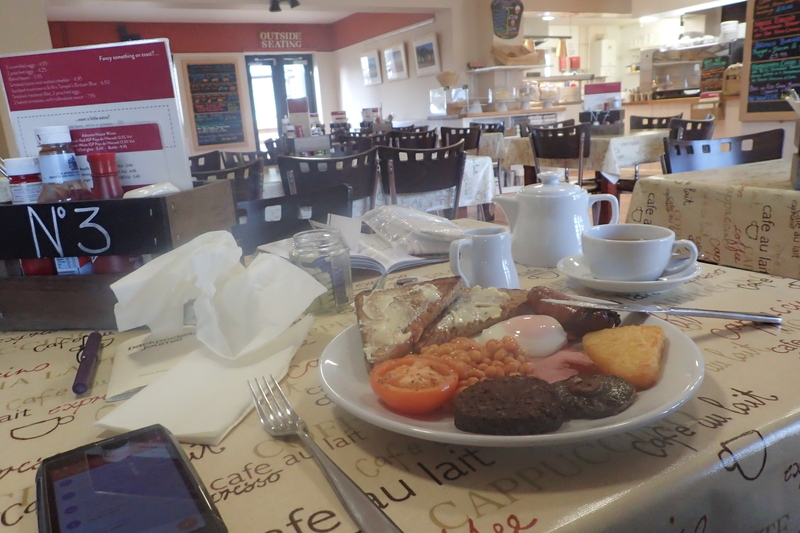 There are plenty of opportunities to re-provision here but I only partook of a fine breakfast in the Deepdale Cafe. 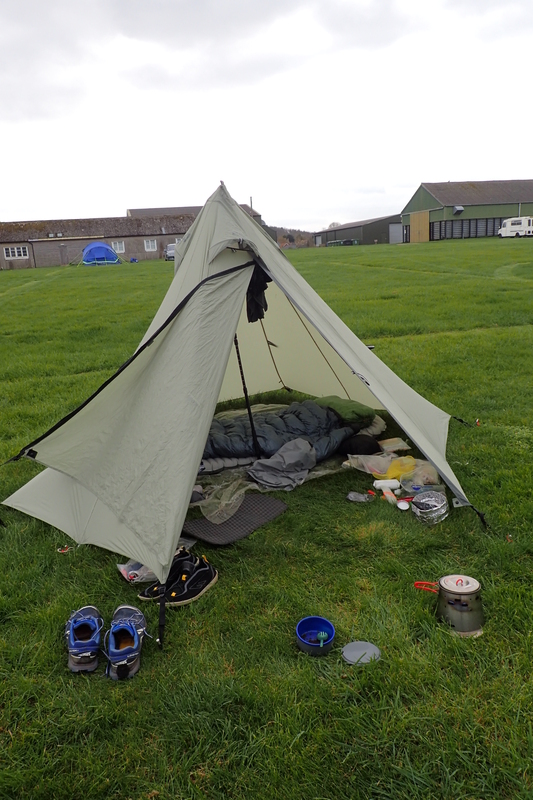 Camping the following night at the High Sand camp site at Stiffkey saw my tent sitting alone in a huge field. 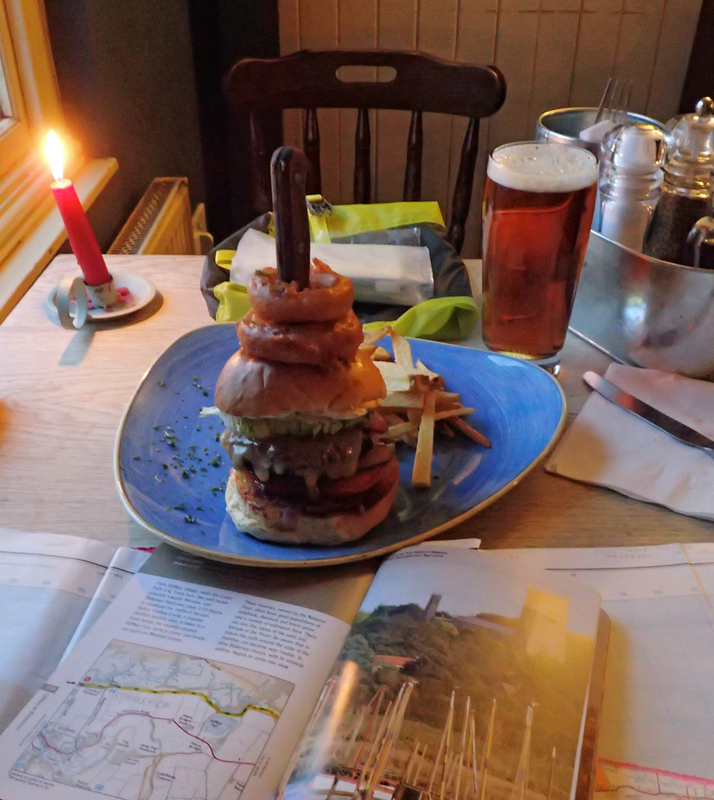 The trail passed only a hundred metres away and I was content to treat myself to good food and ale at the Red Lion Inn in the local village. 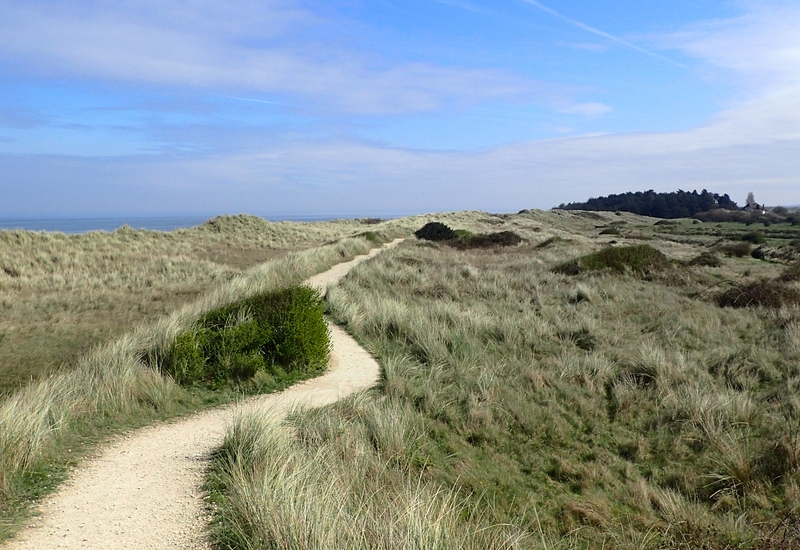 Coastal walking was almost always on good paths, though I should think that many would be pretty claggy after rain. 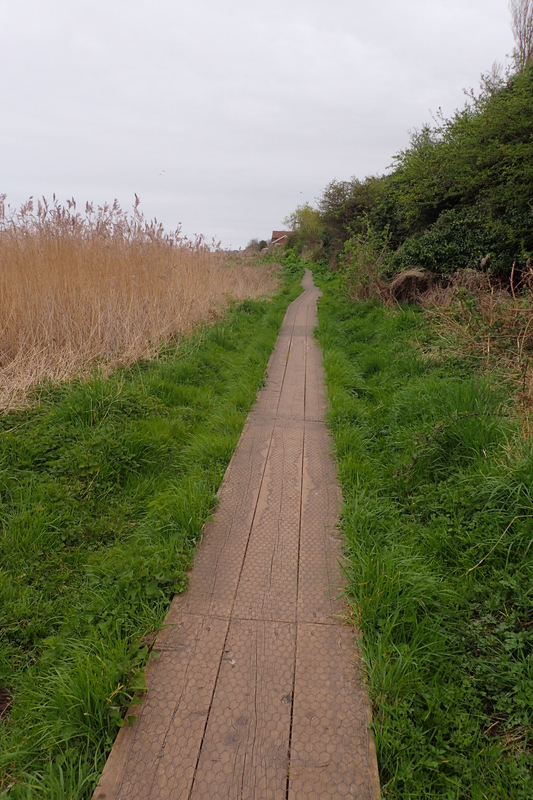 Reedbeds, sea defence walls above marshland, scrubby sand dunes, pine woodlands, saltmarsh, sand and shingle shoreline- my walking was through a number of special and specialised habitats, it was never boring for it changed so much. Every few miles another coastal town would be encountered, I passed through these quite quickly as there was little to hold me. For such a busy stretch of coast, I often found myself alone. Few people will walk more than two miles from their car and it is usually just the odd birdwatcher or sea angler that would be seen any further afield, again, there seemed to be few people walking purposely, and those I saw with small backpacks were either day walkers or slackpackers. 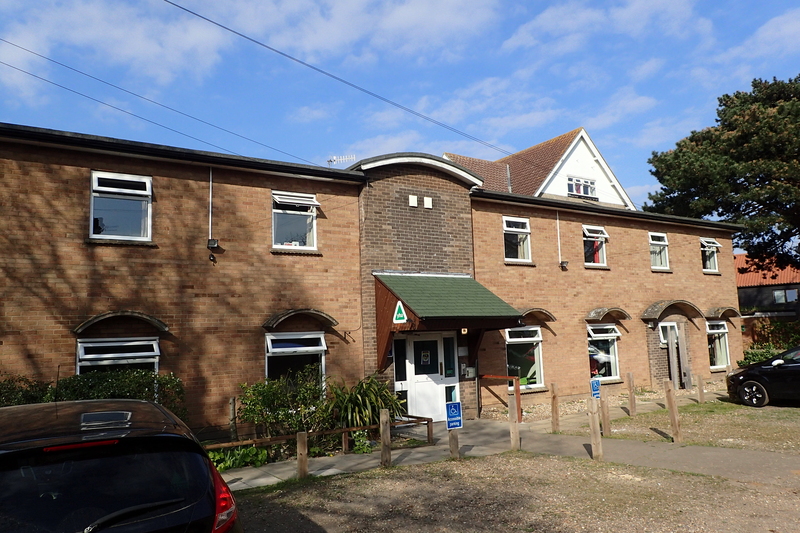 My final night was in Sheringham YHA. No private rooms were available so I shared a dorm with two other guys, we battled each other in the snoring stakes that night but I am pretty sure I won. I like to put my trade toward the YHA where I can as I think they are still doing a grand job, mostly, in a difficult modern circumstance. However I reckon I made a mistake eating an evening meal there. There was no ‘proper’ option on the menu at all, everything was snacks, so I settled for an ‘OK’ pizza. Breakfast was little better, the only egg option was scrambled, and I hesitate to guess how long it was since they had been scrambled! I queried at the counter, the server looked at me with bafflement- “I’m French” was her reply. OK, so no eggs forthcoming then. 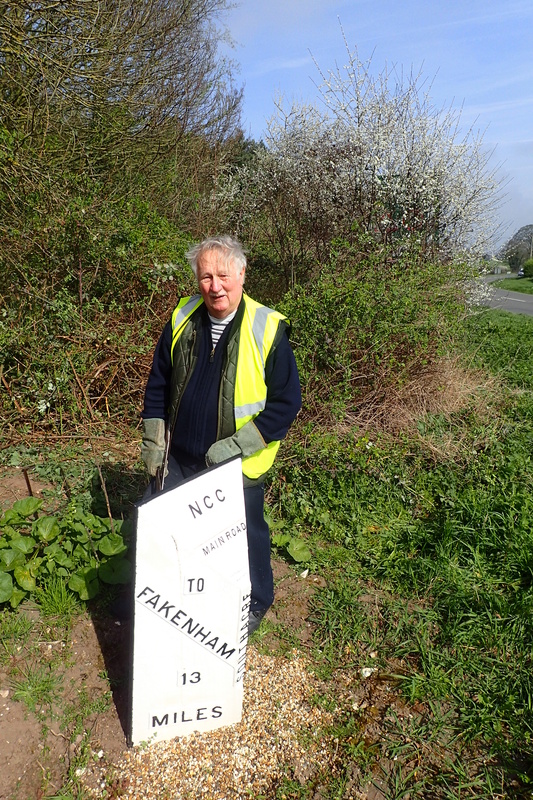 I was so pleased to have completed both halves of the Peddars Way and Norfolk Coast Path. While the walk through the interior of the county had been interesting, with a few points of interest, the coastal element was much more to my liking. Busy seaside towns nestled up against lonely saltmarsh and dune systems stretched for miles across a wide landscape. 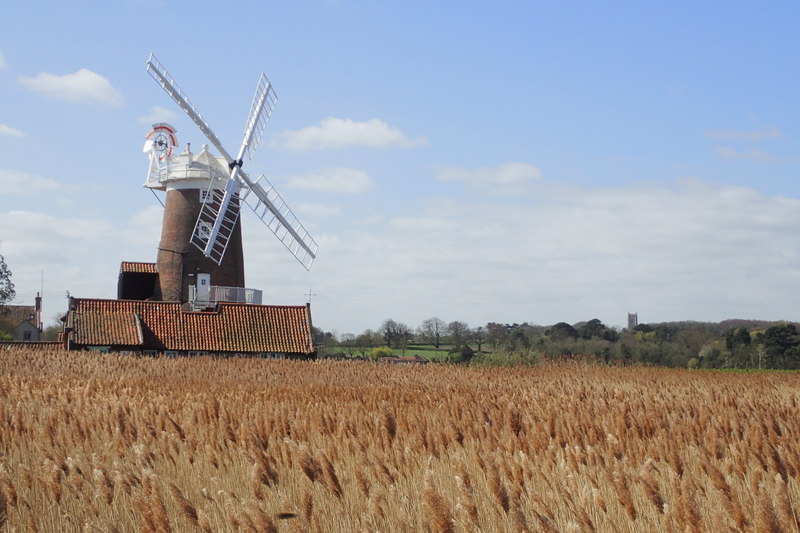 The call of the nesting Curlew and Lapwing that I had gone to sleep to in the agricultural heartland was also encountered on the coast, to be joined with the burbling of hundreds of Brent geese and the frantic shriek of the ‘Sentinel of the Marshes’, the Redshank. Dunlin, Sandpipers, Oystercatcher and Turnstone shuffled along the edge of the surf, only flying ahead when I got too close. It really was lovely coastal walking and I resented it when lack of Rights of Way took me on pointless and annoying diversions inland. I doubt that I shall return to this part of the country for quite some time but hope that the fragile eco-systems can withstand what appears to be growing numbers of visitors. 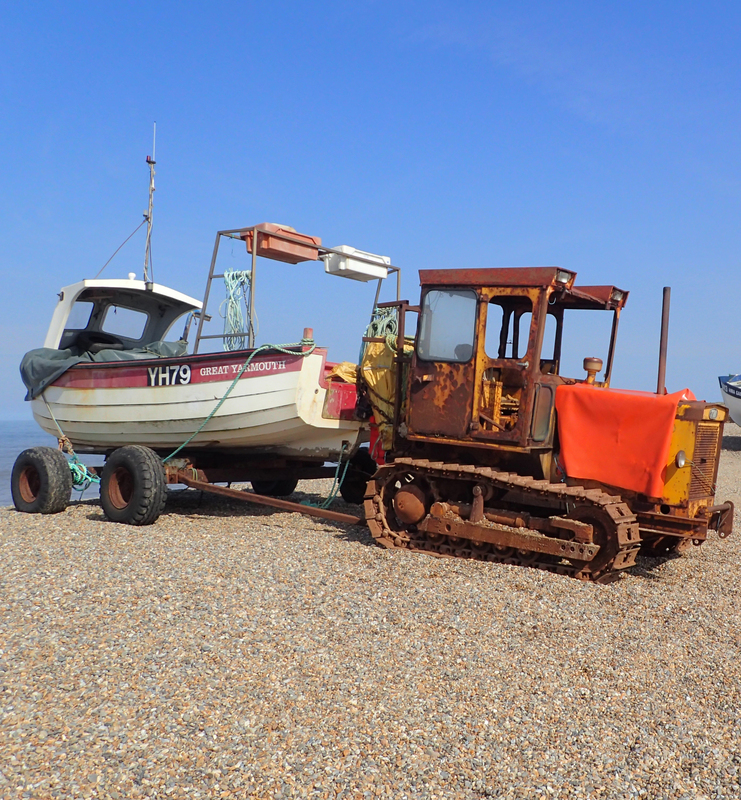 This entry was posted in Uncategorized and tagged camping, Clothing, feet, Food, gear, hygiene, journal, Map, navigation, Norfolk Coast Path, notebook, path, route, sign, tent on May 22, 2017 by Jools. Back in 2016, I completed The Ridgeway. I quite enjoyed this ancient trackway, walking from Avebury to Ivinghoe Beacon, and resolved then to complete the Greater Ridgeway which comprises a number of ancient (and not so ancient) paths that stretch some 360+ miles from the South Coast at Lyme Regis in Dorset to the north Norfolk coast at Holme-next-the-Sea. It is mostly made up of four long distance paths- the Wessex Ridgeway, The Ridgeway, the Icknield Way and the Peddars Way. 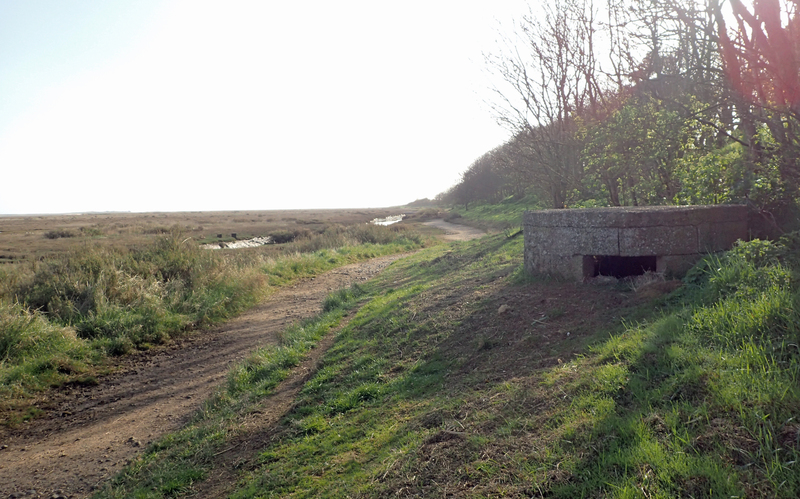 The latter is half of the Peddars Way and Norfolk Coast Path, a National Trail that I completed last month. 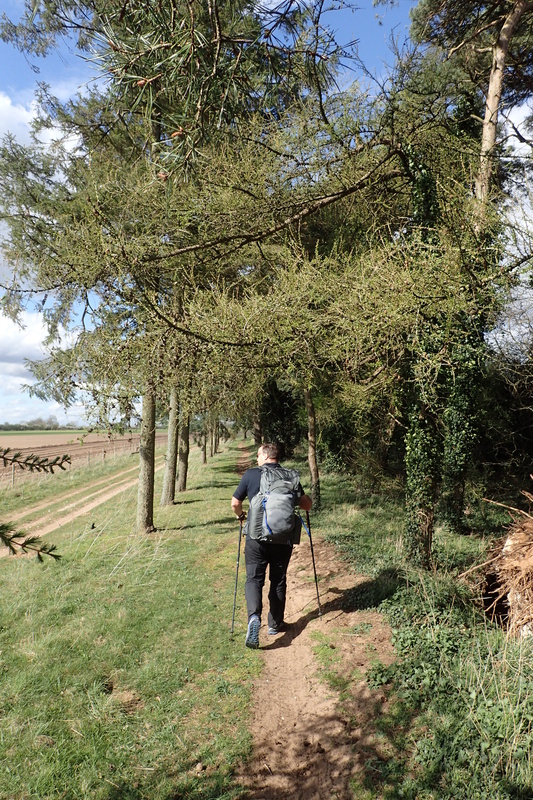 I had considered walking the trail with Mrs Three Points of the Compass last year but reading up on the route decided that, if not actually likely to be boring, that there probably wasn’t going to be much of interest for the two of us. 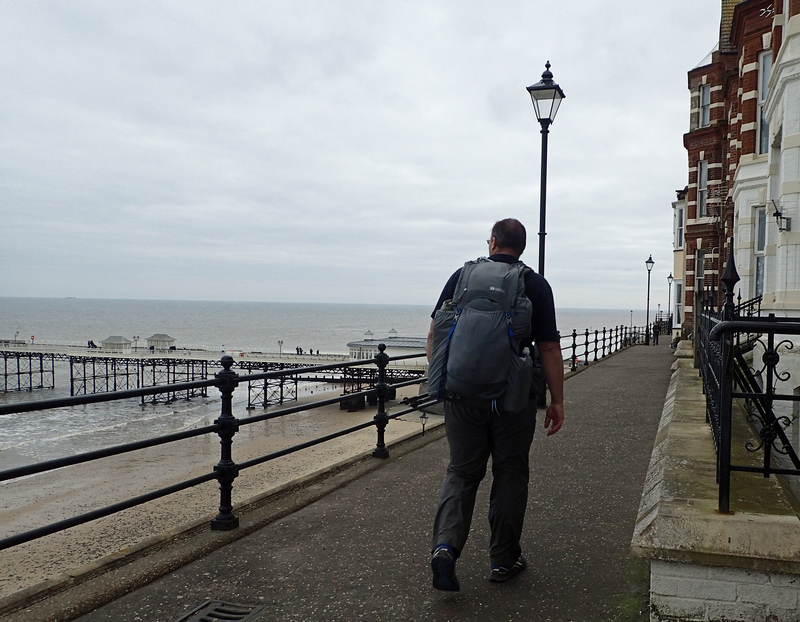 Nonetheless, on 1st April 2017 I set off to walk the 92 miles. Hopeful of at least a night or two wild camping, just a little preliminary research revealed that I would find water sources difficult to locate. To make it far easier, I stayed at recognised camping sites where water would not be a problem. I took my single skin Nigor WikiUp 3 SUL, the inner nest being correctly deemed unnecessary. The remainder of my gear can be seen here. 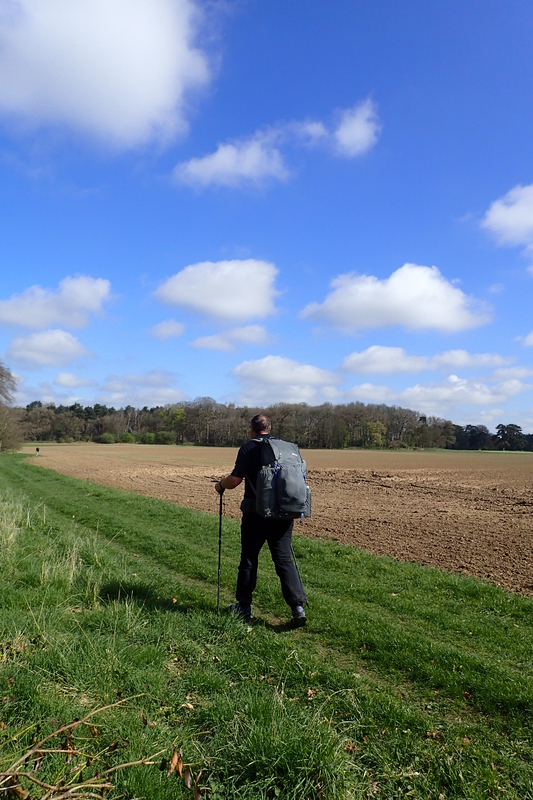 Other than my tent, which will be changed later this year, this walk was a bit of a final ‘shake-down’, seeing if my current kit list is where I want it for my Three Points of the Compass walk that starts exactly a year after I set off on the Peddars Way and Norfolk Coast Path. Instead of being a boring route, I found much of interest. 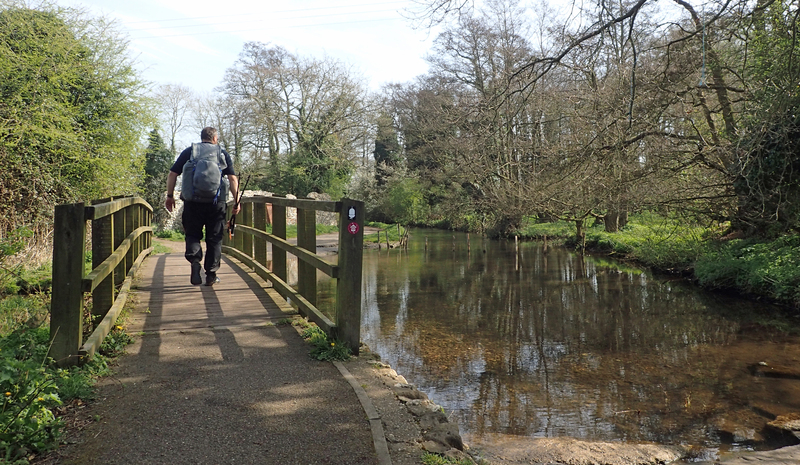 Both halves of the National Trail were a bit of a homecoming for me. 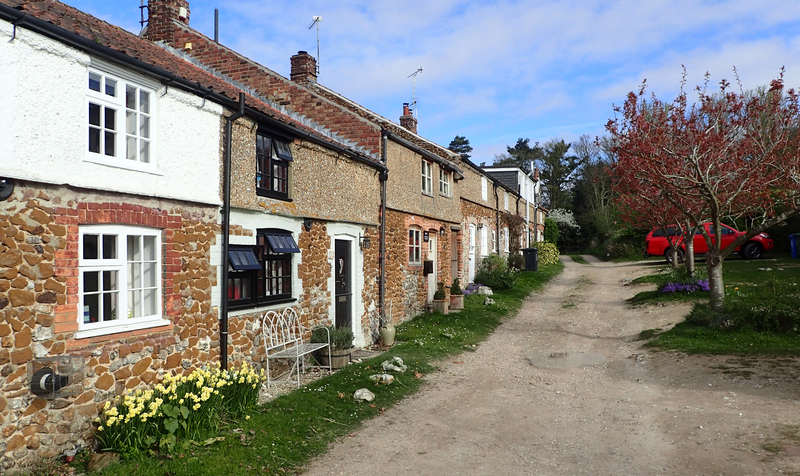 I spent some time as a teenager, when I was an Army Cadet, traipsing through dripping foliage in the Military Training Areas of the Brecklands of north Suffolk and South Norfolk. The heavy, rubberised poncho I wore then proved to be excellent protection from the heavy rain all those years ago. The ponchos eventually gave way to lighter silicone coverings that were equally as effective when strung as tarps for night halts. No rain was experienced on this last trip, unsurprising in one of the driest parts of the country. Catching a series of trains from home to Thetford, a £19 taxi ride took me to the start of my walk. It wasn’t long before I was in to acid grasslands, chalk grasslands, heathers and pine woodlands. 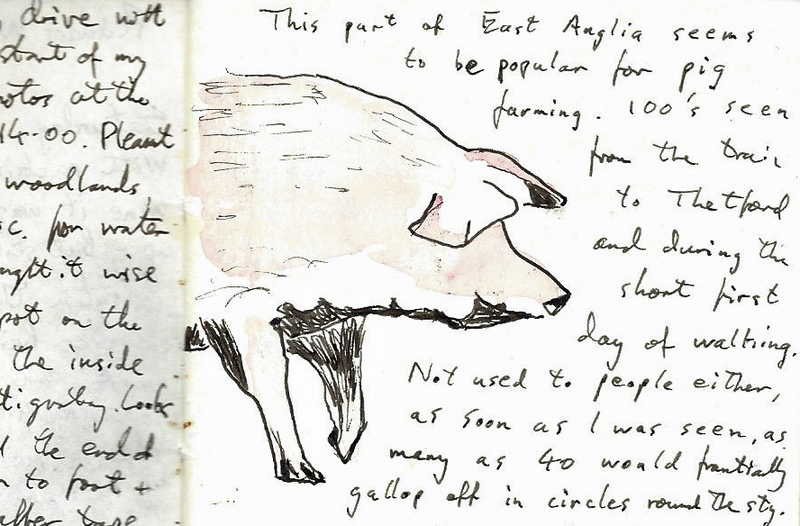 The first couple of days also saw me passing more pig farms than I had ever seen before. Overhead, Buzzards were frequently seen but sadly no sight of the Stone Curlews for which I used to visit this area to see a couple of decades ago. Where a walk of a mile or so would take me to something of interest, I would occasionally turn off the well marked path. 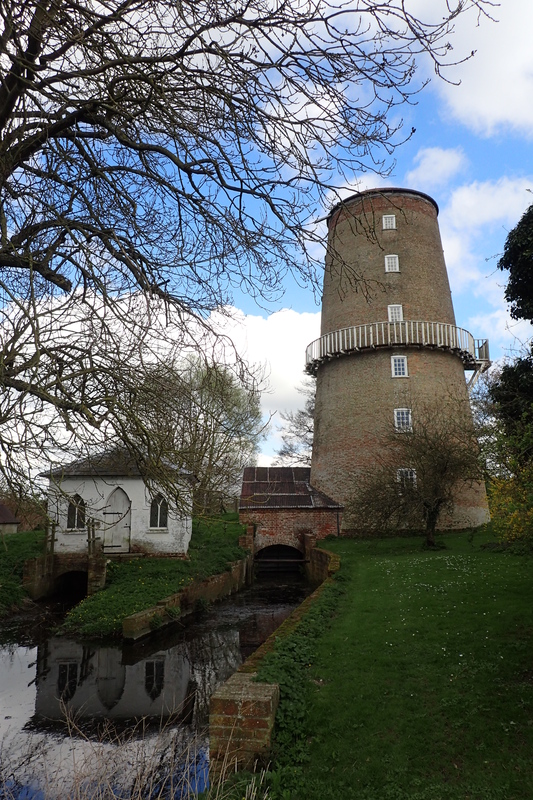 The unique water and windmill at Little Cressingham is just the sort of little gem that adds so much to a walk such as this. 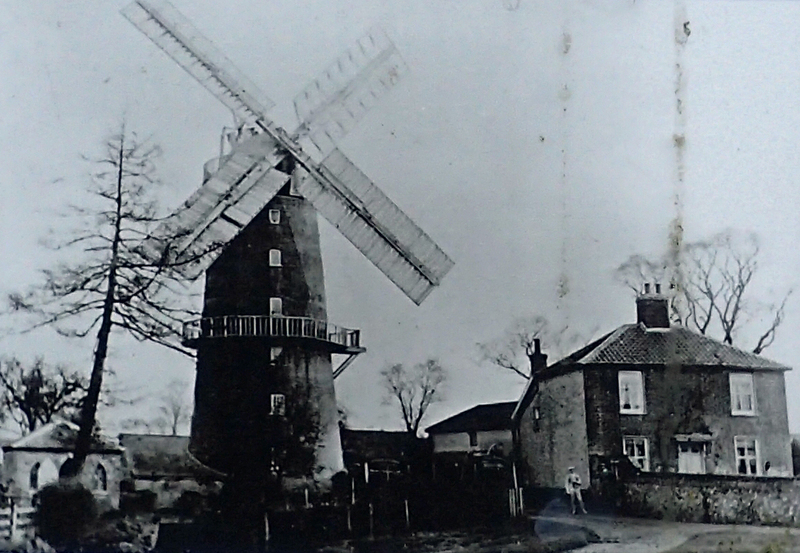 I passed a number of windmills in Norfolk, few, if any, now filling their original purpose. On just a few occasions I reined in my forward motion and paused for a few minutes to indulge in a brief sketch. Again, I am narrowing down my lightweight art kit that will accompany me on my Big Walk in 2018 and wanted to see how my small selection of materials is performing. 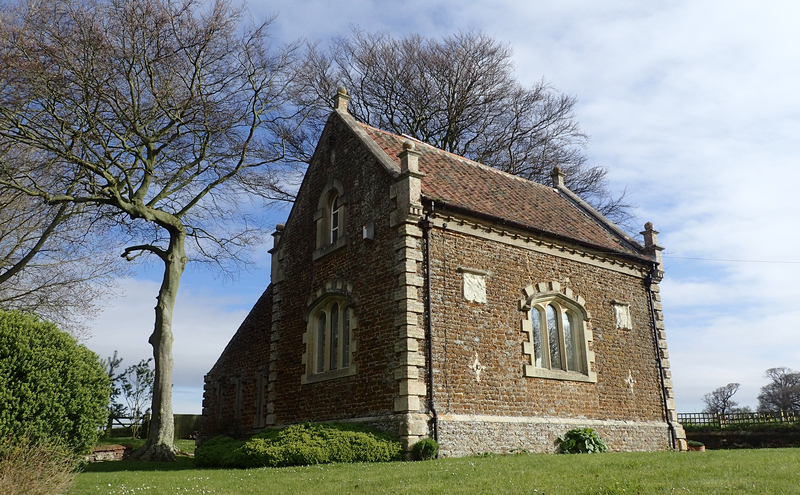 Other than halting to poke around ruined churches and the like, I happily stepped in to just a handful of pubs. 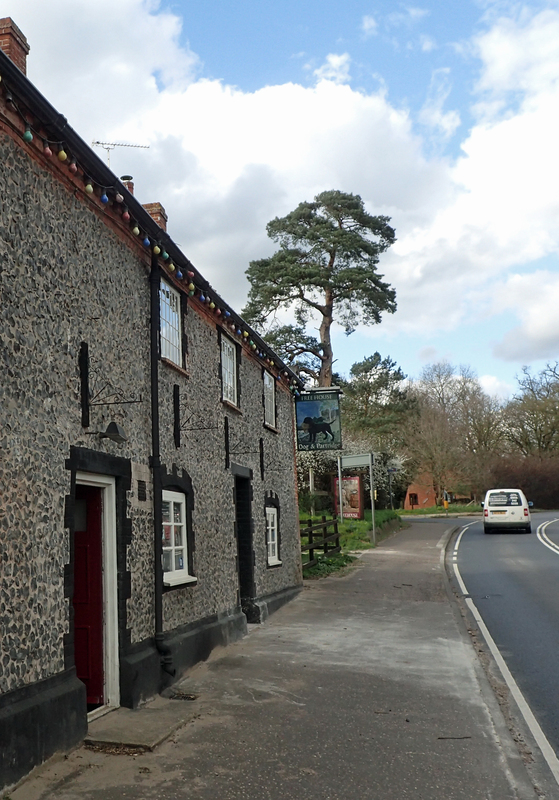 Entering Stonebridge, I followed a road for no more than a couple of hundred metres, but walking past the door of the Dog and Partridge close to the end of a days walking was enough to tempt me in for a couple of excellent pints of Woodfordes Bure Gold. After all, it is almost a duty to put a little trade the way of the local businesses, isn’t it? It was near Stonebridge that I was almost flattened by a group of off-road motorcyclists. Leaping to the side of the path to avoid being hit (and no, it wasn’t a By-way) I lived to walk another day. The path crosses right through, and close to, much of interest, even if there is often very little remaining to actually be seen on the ground now. I was thankful that I took my trail guide as I walked along the quiet and lonely Procession Lane. I would never have known that to my left was where B24 Liberators of the 492nd Bomb Group had set off for their 64 missions in just 3 months in 1944. It was here that the Thor ballistic missiles had been sited in 1959, setting off vehement anti-nuclear demos. Nothing remains of that to be seen. 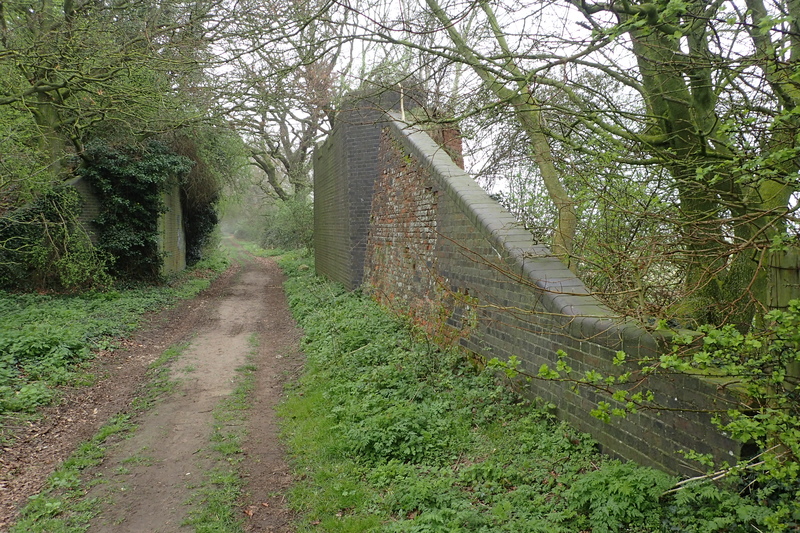 Little remained too, of the former Swaffham – Thetford railway that crossed both former airfield site and my path. Each of my camp sites was more than adequate. 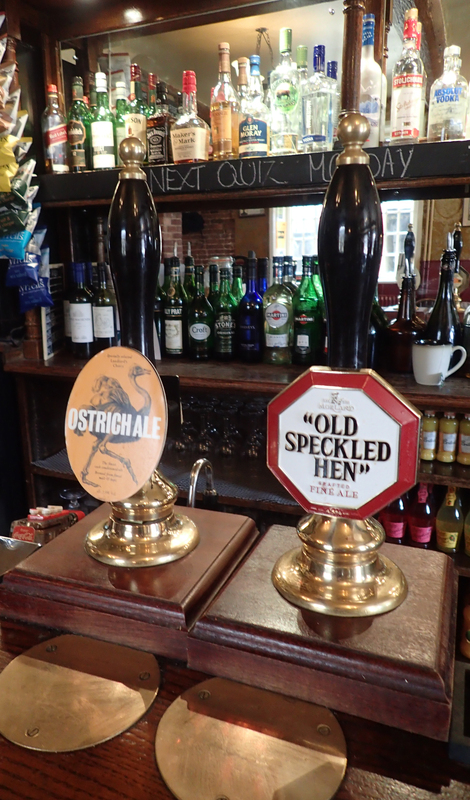 Day one saw me 8.5 miles to Puddledock Farm, day two took me 11 miles to Brick Kiln Farm and the final overnight halt on the Peddars Way was at the lovely Bircham Windmill after a 22.5 mile yomp. 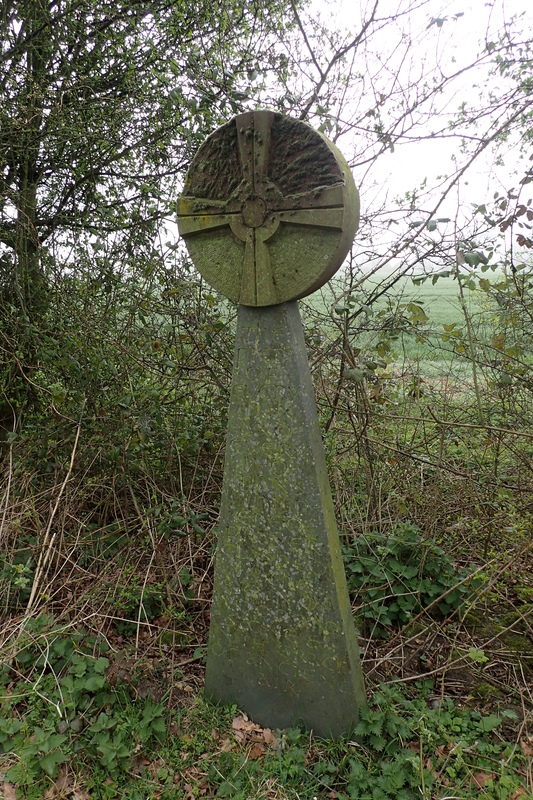 Every now and then on my three-ish days on the Peddars Way, there was a reminder of the thousands of people- soldiers, traders, pilgrims and the itinerant, that had used this route in the past. Fields are dotted with marl pits, there is the occasional tumuli from the Bronze Age, but I had to look hard for the traces of Roman Forts. I suppose the finest record of their passing is the trail itself. 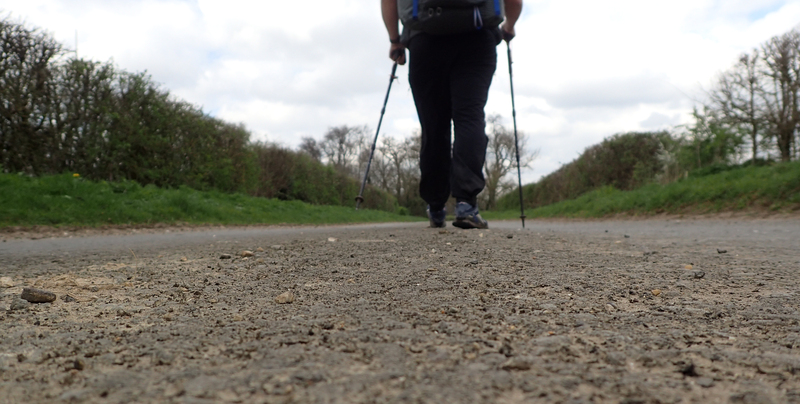 While there was a great deal of easy going trackway, I had to contend with quite few miles of road walking. This had already begun to cause me problems with my feet, but I will write about that issue another day. 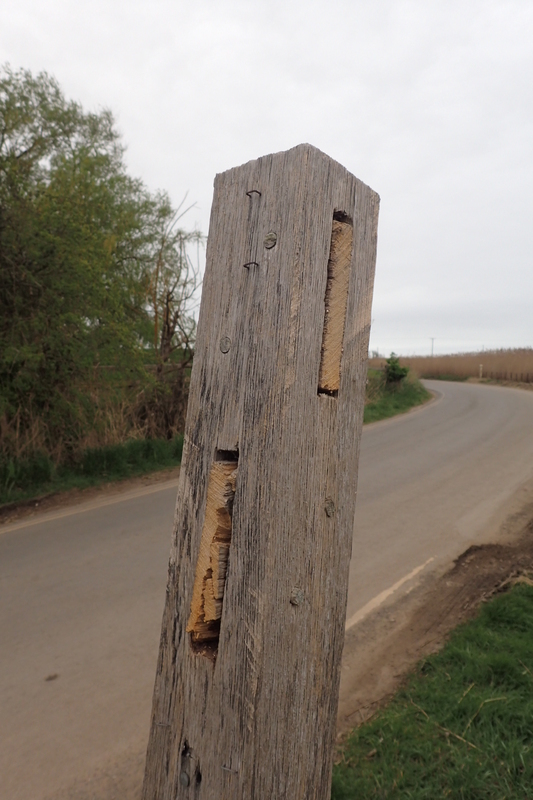 Is the Peddars Way worth doing? Absolutely. 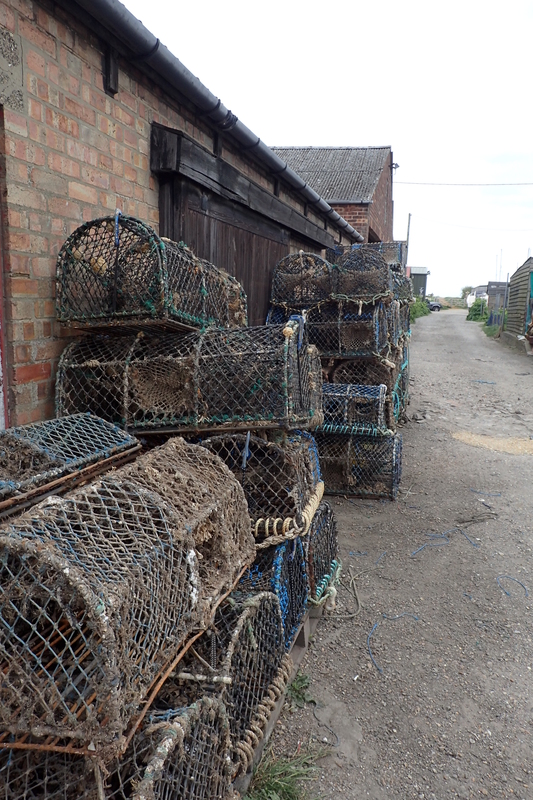 However I would add that it is essential to also complete the Norfolk Coast Path in order to gain the contrast. My next post will cover that section of the trail. 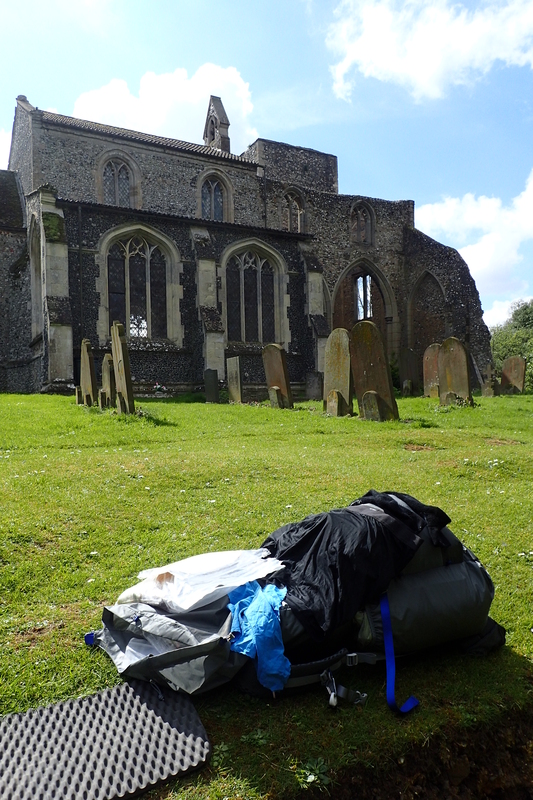 This entry was posted in Uncategorized and tagged camping, Clothing, feet, Food, gear, Map, navigation, Norfolk Coast Path, path, Peddars Way, route, tent on May 21, 2017 by Jools. I have used many types of stove over the years- white gas (Colman), gas, paraffin (kerosene), petrol, even diesel in an omnifuel stove once (just once, never again!) I only ever used hexamine blocks in army days. However my preference for most trips, where I will be cooking, is meths (denatured alcohol). I have a number of beloved Zippo lighters sitting around the house from my days as a smoker. One of my most sentimental possessions is the old brass Zippo my dad used to have. None of these are in any way suitable for backpacking use when using meths as they are too bulky, run out of fuel too quickly and are pretty hefty too. 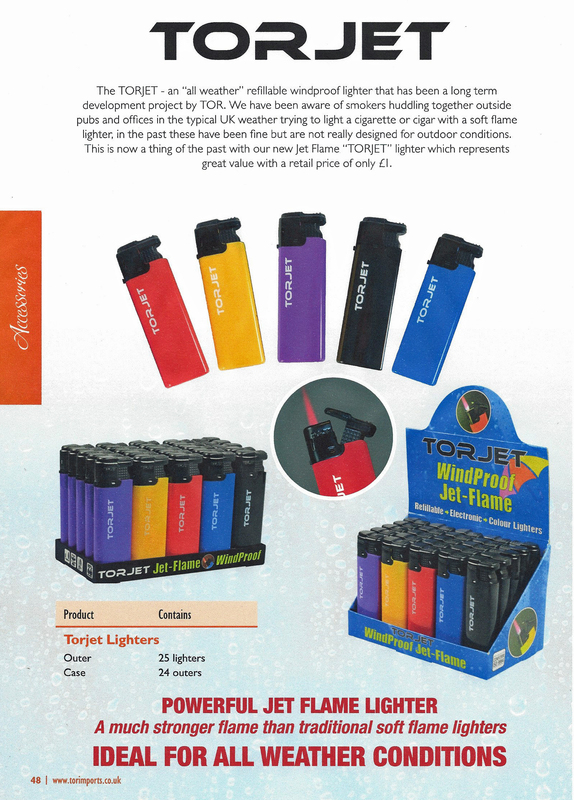 What is required is one of the lightweight butane gas lighters. 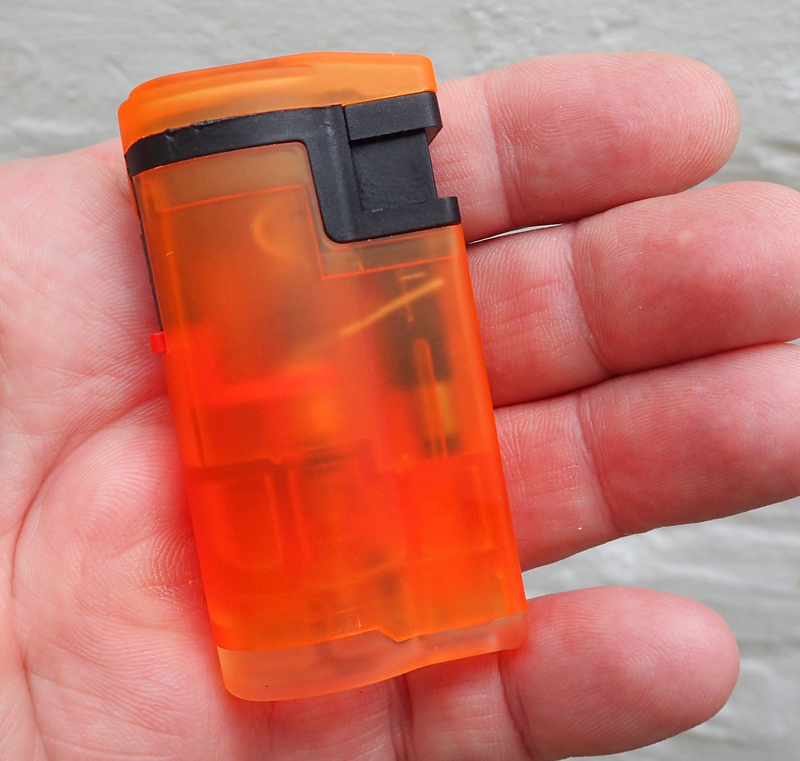 There is a butane Thunderbird insert for a Zippo but one of the plastic disposables weighs a tenth of that. There are a lot of disposable lighters on the market. The range of models from any one maker is huge and my experience of what is available from this huge offering is obviously minuscule. But I have explored, slightly, a handful of the options available to me. 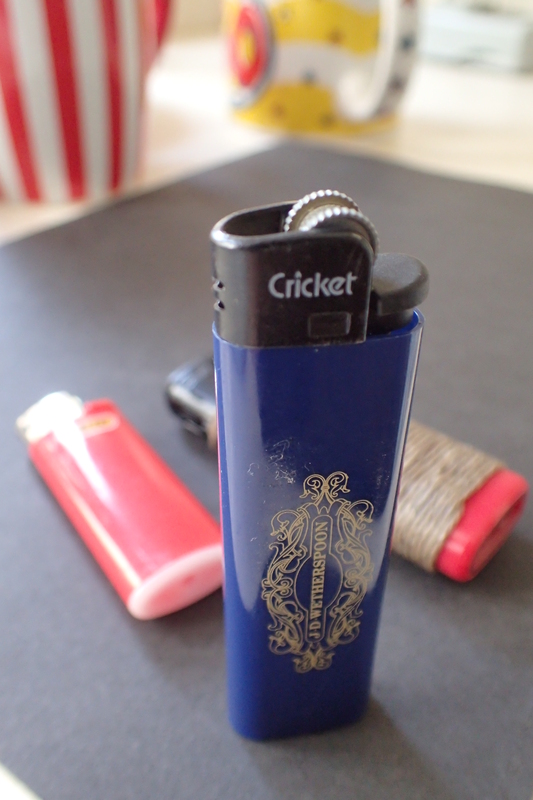 For quite some time I have simply used an Original Cricket Lighter. In 1961, Cricket were the first company to release a disposable lighter on to the market and, in common with just about any other brand out there, they all work pretty well. There are various offerings from the brand. The one that has sat in my cook kit for years (these lighters really do last a long time) was given to me in a pub, advertising the UK chain of public houses. Mine is the Original model, long and slim, to sit in a pack of cigarettes, not that I am a smoker these days. Cricket do make a small version of their full size offering, however I went with the mini Bic lighter when I was looking to shave off a couple of grams. Though actually, my only saving was a single gram! But the slightly smaller presence of the mini lighter is an equally mini-bonus I suppose. 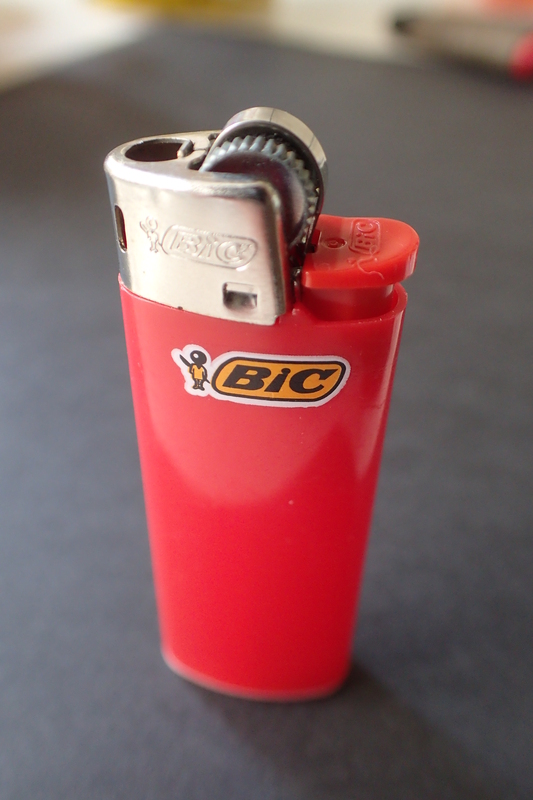 Bic are a far younger producer of lighters, having only purchased the French lighter manufacturer Flaminaire in 1973, however they dominate the disposable lighter market. Well known and respected for good reason- cheap, reliable consistency. So good are their mini lighters that I carry a spare when backpacking. I have found on occasion when lighting my little Speedster stove that I can burn my fingers in any sort of breeze as the flame drifts around a little. So I went looking for one of the ‘turbo’ or jet lighter options. There are a lot of these available but for the past year or so I have been using one of the Euroflame models from Italian supplier Afruni. I can’t find a lot about this company online but as to the lighter itself, I liked the jet flame produced, which aided sideways lighting of my stove. I also like the flip top cap on the lighter. Which I felt may prevent debris from clogging the nozzle. 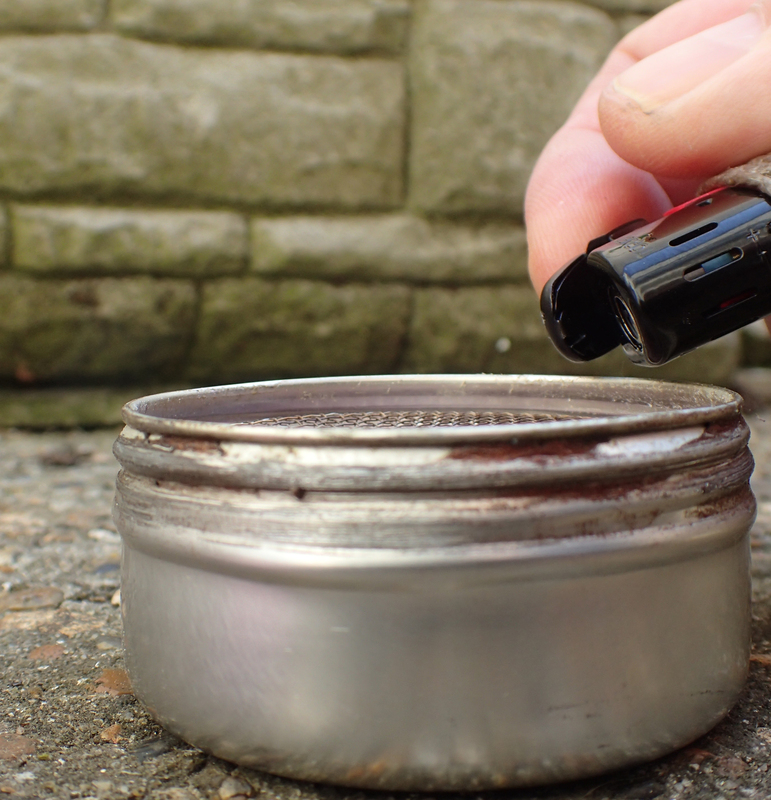 However not only do I feel that keeping the lighter with the cook set obviates slightly the need for a cap to the lighter, but, in common with many other turbo lighters on the market, my lighter was too heavy at 34g, even if it is possible to refill this option. The piezo ignition is another step above the simple flint striker on my Bic and Cricket options but both those manufacturers also offer piezo alternatives now. What I have settled on is one of the 20g offerings from Torjet. This is supplied by Tor Imports who were founded in 1992 to supply cigars and smoking accessories. Yet another cheap ‘n’ cheerful product that does exactly what it sets out to do. I am keen on the refillable aspect of these lighters. When you reflect on the fact that Bic have sold over 30 billion of their disposable lighters, anything we can do to reduce this landfill just slightly can only be good. 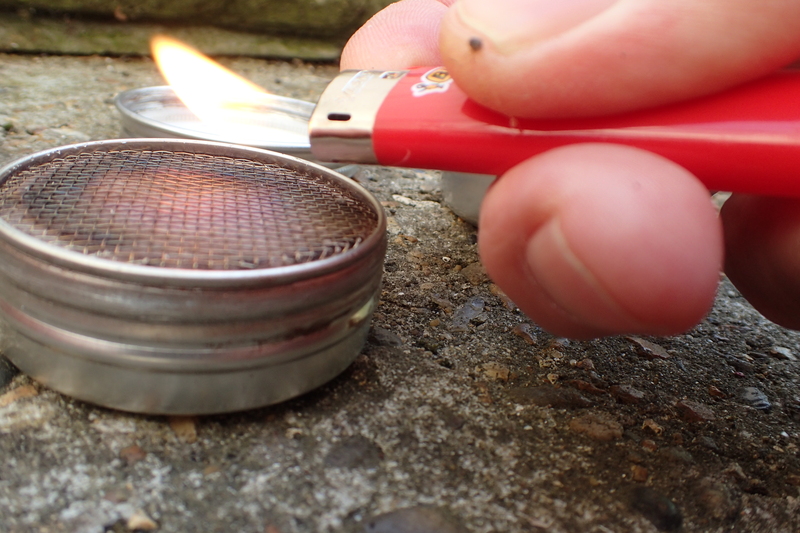 The lighter is refillable and has piezo ignition. The jet nozzle is closed and protected when not lit. It has a long slim profile that fits in the hand well. It lights well and has never failed me. All that said. 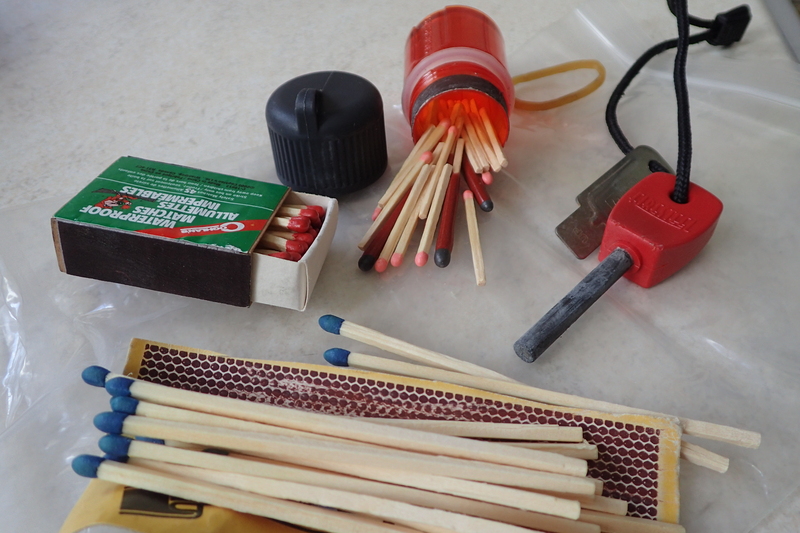 It makes sense to be prepared and I do carry a spare lighter with me. There is no need for another Torjet however so a bright red mini Bic is my back-up. A bright colour lighter makes sense as they show up well in the grass when cast to one side while cooking. 99% of the time I use my lighter as a lighter, simply pressing the ignition and sending a red hot jet of flame in from the side. For those odd times where I want to be a little more distant, usually for a wood fire. 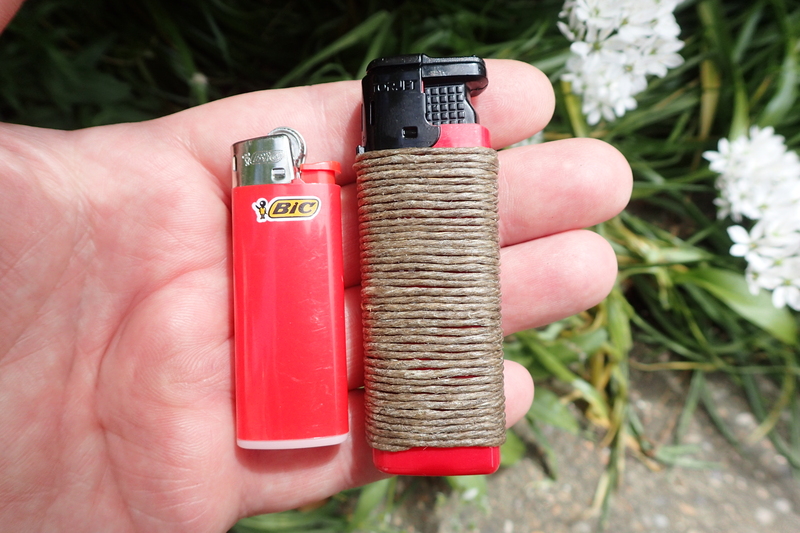 I wrap a couple of metres of Hemp Wick round the Torjet lighter. Not only does this provide a better grip in the rain, but it is handy to pull off a couple of inches, light it, and it then works as a handy, fairly slow burning wick. This will not work in any sort of strong breeze and needs the good shelter provided by my Caldera Cone. 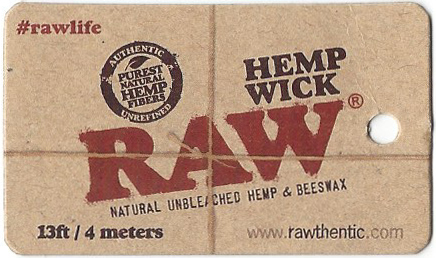 The Hemp Wick is not required often, but is there if required. 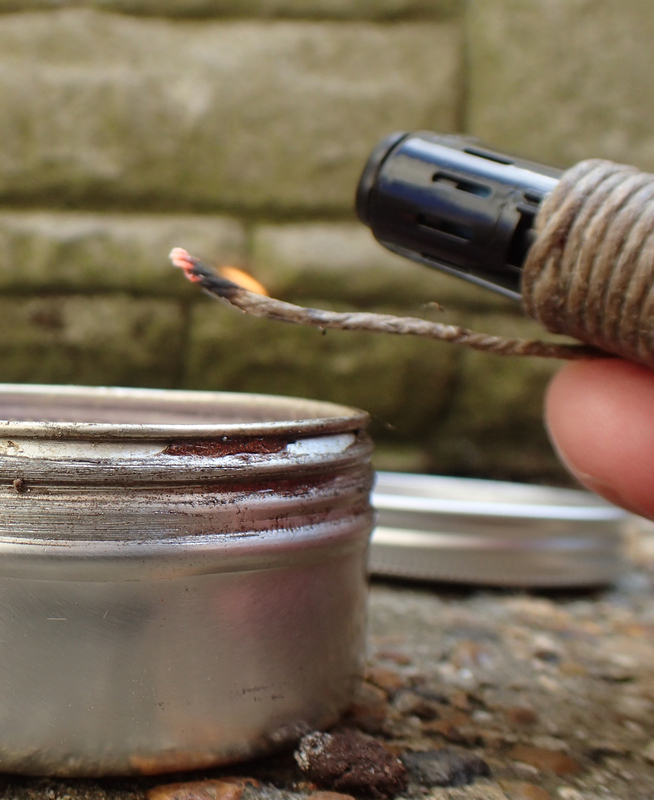 I only occasionally use the Inferno insert to convert my Caldera to wood burning mode and can see my Hemp Wick being helpful at lighting this at times, either catching the end of torn paper, grass or a smidge of Hammaro tinder card. This entry was posted in Gear, Skill, Uncategorized and tagged Food, gear, Knowledge, lighter, Skill, small stuff on May 14, 2017 by Jools. Concession Path below Chrome Hill in the Peak District. The only way of approaching this Derbyshire hill from the north west is via this waymarked route. Concessionary, or Permissive, Paths are paths whose use is allowed by the landowner. Not normally a Public Right of Way, their use may, nevertheless, be a historic route that has fallen from use or a right of way not included on the definitive map. 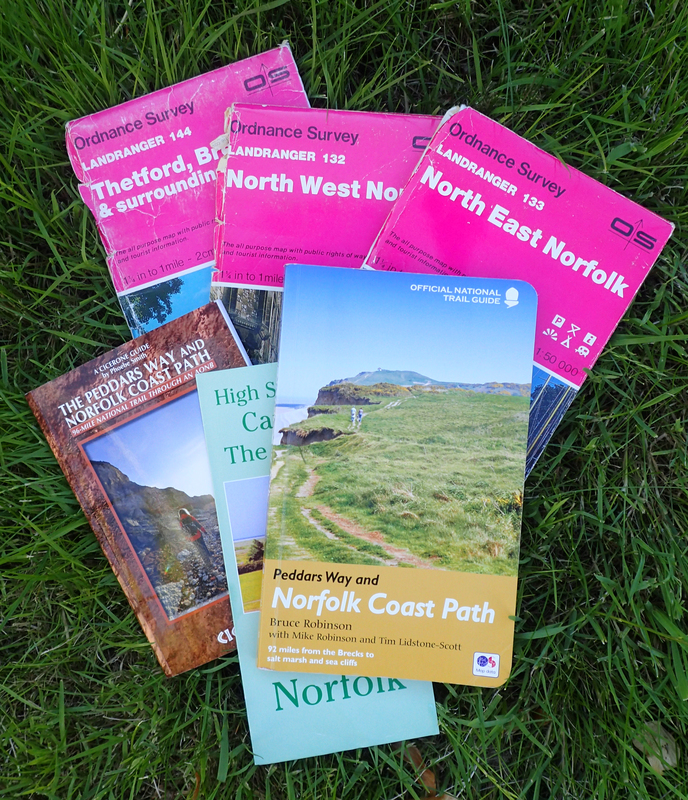 Some 1:25 000 and 1:50 000 Ordnance Survey maps show Concessionary paths. 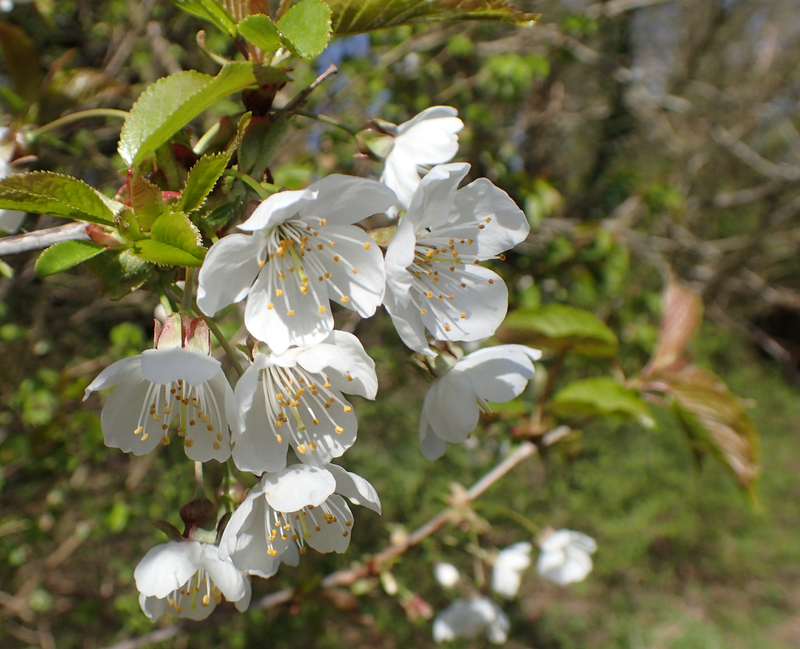 Alternatively, Natural England also provides considerable information online. Not all permissive paths are shown as their circumstances change with time. 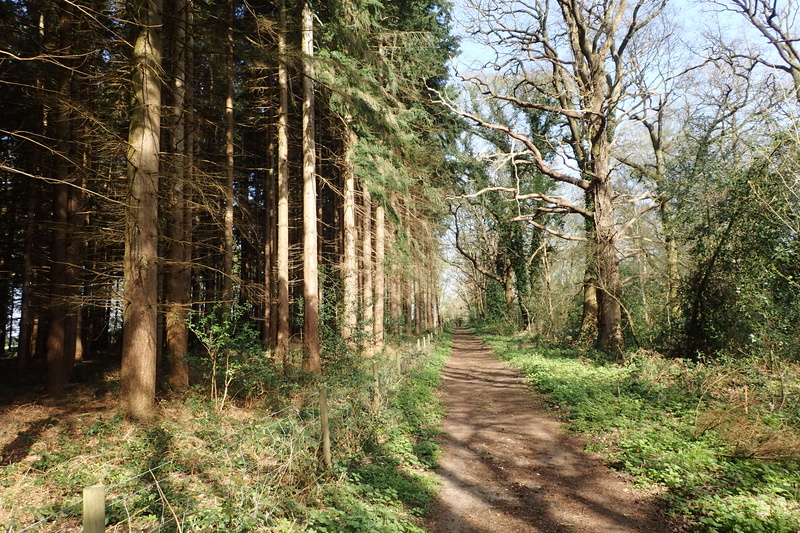 Most Concession Paths will close for part of a year to ensure that it does not become a path ‘used as of right’, due to unbroken usage by the public. 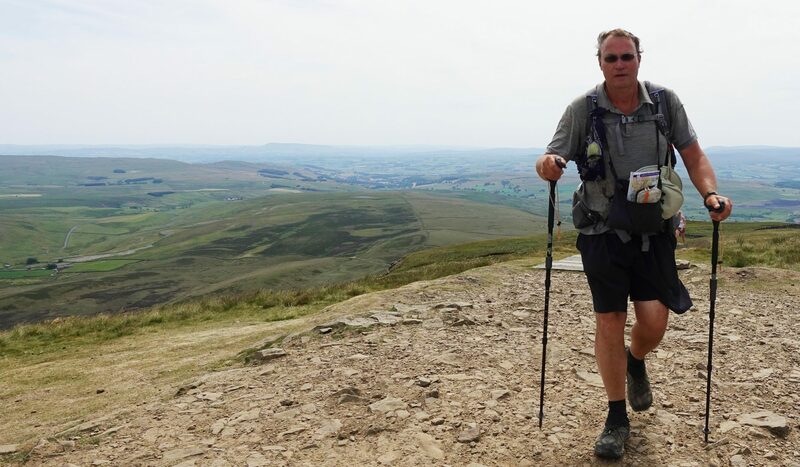 This entry was posted in Uncategorized and tagged Map, navigation, path, route, sign on May 2, 2017 by Jools.